For athletes and outdoor adventurers, the fenix 5 Plus Series multisport GPS watches is the high-performance way to beat yesterday and bring your maps and music along. This rugged, premium-crafted watch features colour TOPO maps with Trendline popularity routing4, so you can find and follow the best paths. It can store up to 500 songs for phone-free listening and includes wrist-based heart rate1, smart notifications5 and the Garmin Pay contactless payment solution3. Wrist-based Pulse Ox Acclimation sensor1 (fenix 5x Plus only) provides awareness of your blood oxygen saturation levels - especially useful when you're adjusting to higher altitudes. 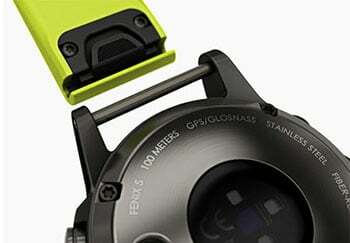 Multisport GPS Watch With Maps, Music, Metrics and More. • Fit for adventure with rugged design that features stainless steel or diamond-like carbon (DLC) titanium bezel, buttons and rear case. 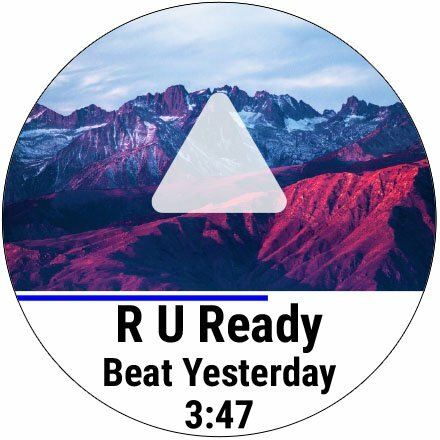 • Easily store and play up to 500 songs on your watch, and connect with Bluetooth headphones (sold separately) for phone-free listening. 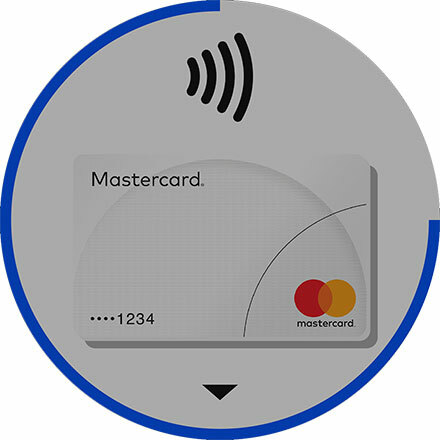 • Garmin Pay contactless payment solution lets you make convenient payments with your watch. • Please note this feature is currently not supported in South Africa and the rest of Africa. Whether you're in the city or on the trail, all fenix 5 Plus Series watches provide built-in mapping and navigation features to help keep you oriented and on course. Full-colour TOPO mapping comes preloaded with map data optimised for at-a-glance navigation and location tracking. For runners and cyclists, the device also features Trendline popularity routing, which uses billions of kilometers of Garmin Connect data to help you find and follow the best trails and routes. Every fenix 5 Plus Series watch features multinetwork (GPS, GLONASS and Galileo) satellite reception to track in more challenging environments than GPS alone. 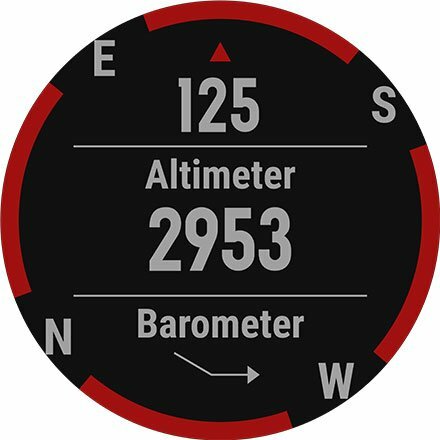 In addition to map-based guidance, each watch also provides a set of ABC (altimeter, barometer and compass) sensors for outdoor navigation. The built-in altimeter provides elevation data to accurately monitor ascent and descent for activities such as hiking, while the tilt-compensated three-axis electronic compass keeps your bearing - whether you're moving or not. When you're pushing your limits, you need a decisive edge. fenix delivers with sophisticated training features to monitor your form and performance. Tap into physiological metrics, running dynamics and more to track your workout stats, measure your progress and fine-tune your form. Training status automatically evaluates your recent exercise history and performance indicators to let you know if you're overtraining, maintaining or peaking. 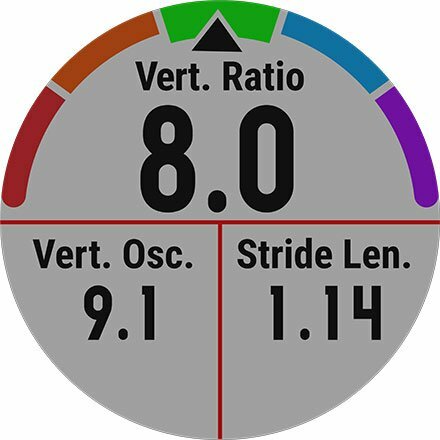 You can also view your overall training load, which measures your exercise volume from the last 7 days and compares it to the optimal range for your fitness and recent training history. Special preloaded activity profiles are provided for swimming, running, biking, hiking, skiing, rowing, paddle boarding and more. For added motivation, download advanced workouts and training plans from Garmin Connect. On your wrist, Elevate wrist heart rate technology lets you monitor your heart rate without wearing a chest strap. In addition to counting steps and monitoring sleep, the watch uses heart rate to provide calories burned information and quantify the intensity of your fitness activities. It also measures your heart rate variability to calculate a stress score that helps you assess what level of activity your body is ready for. Got a power song that gets you pumped up for a race or tough workout? Now you can have up to 500 songs stored right on your watch, for phone-free listening on the go. It's easy to transfer music from your computer and then queue up your favorite playlist for easy listening through compatible Bluetooth headphones (sold separately). So leave your phone behind when you head out for a run or ride, because the music that keeps you moving is right there on your wrist. All fenix 5 Plus Series models support smart notifications when paired with a compatible device. Receive emails, texts and alerts right on your watch - whether you're on the trail, on the golf course or simply away from your desk. Other connected features include automatic uploads to our Garmin Connect online fitness community, live tracking, GroupTrack and social media sharing through free Garmin Connect and Garmin Connect Mobile applications. Built for rugged adventures and crafted of the finest premium-grade materials, fenix 5 Plus Series watches are available in a variety of finish choices, including PVD-coated stainless steel bezel and DLC titanium bezel version. A bright, high-resolution, full-colour Garmin Chroma Display with LED backlighting assures readability in all ambient conditions. And transflective technology that reflects and transmits light at the same time enables the watch face to become even more readable under intense sunlight. For added scratch resistance, a high-strength domed sapphire lens is available on several fenix 5 Plus Series models. You can customise any fenix watch with free downloads from the Garmin Connect IQ store. 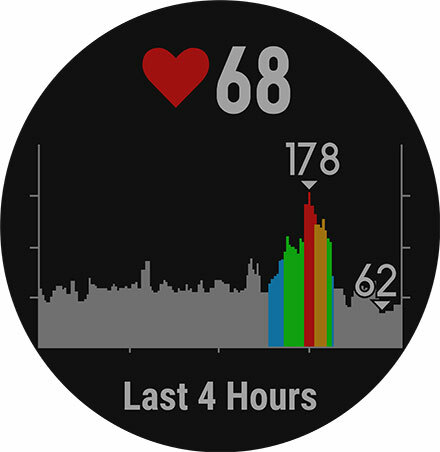 Change your watch face, add data fields or get apps and widgets for information at a glance. There's also a wide selection of QuickFit bands in your choice of premium leather, metal or silicone - so it's easy to mix and match styles to go with any sport or activity. No tools are required to make the transformation. Just swap, click and go. With Garmin, you can add personality to your watch that's uniquely you. Add power data to your training by downloading Garmin Running Power app from the Garmin Connect IQ store onto your compatible watch. Developed by Garmin Labs, the Running Power app taps into metrics - such as pace, vertical oscillation, grade and even local wind conditions - to determine the amount of power you're applying at the ground as you run. When you know how much power you're expending from minute to minute and mile to mile, you're better able to pace yourself, which can help keep you from tiring out too quickly. The best news? If you already own the right Garmin devices, adding power to your run is free. All you need is a fenix 5 and one of these accessories: HRM-Run, HRM-Tri or the Running Dynamics Pod. 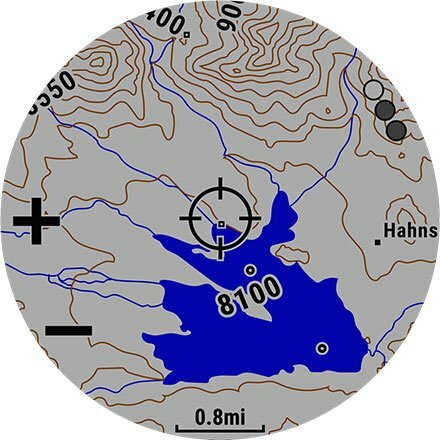 The Bluetooth word mark and logos are owned by the Bluetooth SIG, Inc. and any use of such marks by Garmin is under license.